The charming community of Red Oak, TX is located in the Dallas-Fort Worth area. The town is highly sought after as a residential area due to its convenient location, great schools and high quality of life. A unique community, the town is built upon a great Texas heritage and primed for success with an ideal location. Located a mere twenty minutes outside of Dallas, the town is able to offer all of the benefits of a big city and the laid-back atmosphere of a small town. A verdant land when the settlers first gazed upon it, Texas was a wonder filled with an abundance of natural resources. The settlers, many of whom made their way westward seeking a better life, saw the possibilities of areas rolling hills and green prairies and began trickling into the area around the spring of 1844. In 1850 the first house was built in the area which would later become a beautiful city. Progress within the area continued bringing more settlers into the area. Soon a courthouse, a school house and a post office were established. In 1890 construction on a railroad was completed linking the then small town and opening up opportunities for trade and economic prosperity. Today the area is a lovely prospering community with a proud history and a bright future. The town maintains and operates a number of facilities for residential recreational use. The town prides itself on its quality parks, natural-wooded areas and recreational facilities/programs for those of all ages. There are several interesting local attractions located within the town. Attractions such as Ellis County Museum, the Texas Motorplex and the Galaxy Drive-In Movie Theater are a great source of civic pride for the small Texas town. Other nearby attractions in the surrounding communities include the Six Flags Over Texas in Arlington, Hawaiian Falls in Mansfield and the Cowboys AT&T Stadium. Important community connection is fostered through regular and seasonal community events. The entire community comes together for much anticipated events such as the Easter Egg Hunt, Red - Oak White & Blue, the Fall Festival and the Christmas Parade and event. Red Oak is more than a town, it is a community and a way of life. 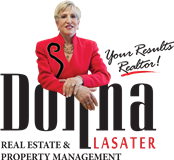 If you are interested in purchasing a home or viewing properties in the area, contact Donna Lasater . Donna is a local expert who will be able to guide you in the ways of the local real estate market. There are many homes for sale in the area and with Donna's expertise you are sure to find the right home to suit all of your needs.